Here I am at the Irvine Improv (or was on the night of 02-04-2016). 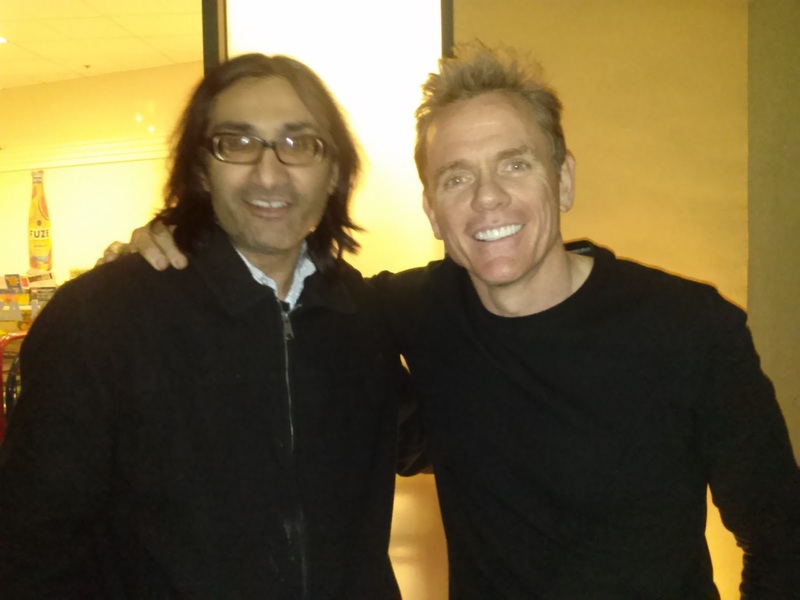 Saw Christopher Titus aka Chris Titus. He had a funny tv show on about a decade or decade and half ago? Go see him! He's hilarious. I got my tickets on Goldstar.com. I got a picture with him and picked up his latest comedy special DVD. I have yet to watch it. He's performing in Irvine all weekend. It looks like he'll be in Ontario CA in April. The Improvs have a 2 item purchase minimum. I had a tap beer and the ?Manly? Burger. It was good. It looks like his wife does the opening act and was present at the merchandise desk.